Swati Khurana is an interdisciplinary artist interested in the interplay among private moments, public acts, and collaborative practices. She was born in India and raised in New York where she currently lives and works. Swati’s videos, collages, drawings, sculptures and installations mine personal narratives and explore immigrant issues with a focus on gender, popular culture, and the seductive promises made by rituals. She received a B.A. in History from Columbia University with a focus on South Asian post-colonial studies, and a M.A. with distinction in Studio Art and Art Criticism from NYU. Her work has been exhibited and screened at: American Museum of Natural History, Art-in-General, Artists Space, Bronx Museum of the Arts, DUMBO Arts Festival, Brooklyn Museum, Rush Arts, Queens Museum (all NYC); Chatterjee & Lal (Mumbai); Museo de Arte y Diseño Contemporáneo (Costa Rica); ScalaMata Gallery (53rd Venice Biennial); and Zacheta National Gallery of Art (Warsaw). She has received grants and awards from Jerome Foundation Travel & Study Grant, Bronx Museum’s Artist-in-Marketplace, Aljira’s Emerge, and has had residencies at Henry Street Settlement, Atlantic Center for the Arts, Pace University, Cooper Union, BCAT/Rotunda Gallery, WaveHill Winter Workspace, and Kartong Village Development Committee (The Gambia, West Africa). 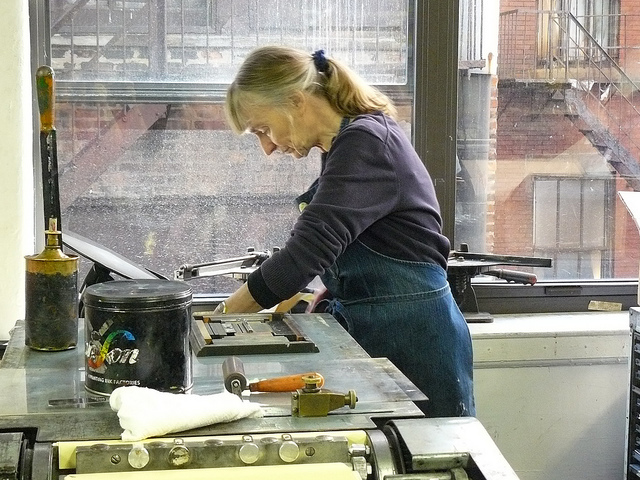 While is in residence, she made letterpress posters that were used by in a collaborative “Freedom, Safety, Now” protest against violence against women, outside of the Indian consulate. As part of her ongoing “Texting Scrolls” project, she collects strangers’ private text messages, which are transcribed onto paper and tied into scrolls. Messages from this project are posted throughout the space in the form of vinyl wall text. Also on view are book covers made by drawing on fabric and creating embroidered images of private, domestic spaces in collaboration with her grandmother, as well as an accordian book made of handmade Japanese paper with electrostatic prints of drawings on vellum.Kameelah Janan Rasheed is a research-based conceptual artist working primarily with photography, installation, and text. Her work creates a dialogue around migration, displacement and transition buy brand name provigil through the use of vestigial flickers and historical residue such as found material culture, photographs and sound excavated from a range of sites such as train station floors, institutional archives, eBay, flea markets, spam email folders, infomercials, televangelists mailing lists, television, academic journals, obscure poetry etc. Kameelah has exhibited throughout New York and her first solo exhibition No Instructions for Assembly debuted in 2013 at Real Art Ways in Hartford, CT. Selected residencies, fellowships and honors include: Vermont Studio Center (2014), Center for Book Arts (2013), The Laundromat Project (2013), Visual Artist Network Exhibition Residency and Community Grant (2013) Juror for Center for Photography at Woodstock residency (2013) and Center for Photography at Woodstock (2012). She received her Ed.M in 2008 from Stanford University and her BA in Public Policy and Africana Studies from Pomona College in 2006. Kameelah is a 2006 Amy Biehl U.S. Fulbright Scholar to South Africa. Her writing has appeared in TheNation.com, Specter Literary Magazine, Liberator Magazine, Well & Often Press Reader, Pambazuka: Pan African Voices for Freedom and Justice, Wiretap Magazine, Make/Shift Magazine, Blacklooks, among others. Her essay “Lines of Bad Grammar” was included in the book I Speak for Myself: American Women on Being Muslim. Currently, she serves as the Senior Editor of Art and Interviews for Specter Literary Magazine and the Creative Director of Mambu Badu. Kameelah is also a gallery/studio instructor at the Brooklyn Museum where she has taught classes around installation, collage and digital arts. After five years as a public school teacher, she now coaches public school teachers and develops social studies curriculum through a NYC-based partner school organization. While in residence, she created a reinterpreted NYC subway map that plots the location of street preachers, wrote a recyclopedia of evangelical tracts, and crafted a mixtape of collected street sermons. Jenifer Wightman is a science-based conceptual artist who employs scientific tropes to incite curiosity about ecological phenomena. She is interested in poetically articulating the incongruities between our current economic growth paradigm (conceptually unlimited) and our emerging notion of sustainability (limited by finite resources). Jenifer tries to capture the visual language of embodied form moving through cycles of destruction and creation within a finite landscape. She creates experiences for viewers to observe and reflect on biophysical transitions as finite materials cycle between a figure and its field. Jenifer is a Cornell University Research Associate specializing in greenhouse gas inventories and life cycle analysis of agronomic systems. Her art practice began in 2002 and employs scientific tropes to incite curiosity of ecological phenomena. She earned an MS in Environmental Toxicology from Cornell and a BS in Cell Biology from Carnegie Mellon. In addition to CBA, she has participated in residency programs with LMCC Swing Space, the Nordic Artists’ Centre, and MacDowell. 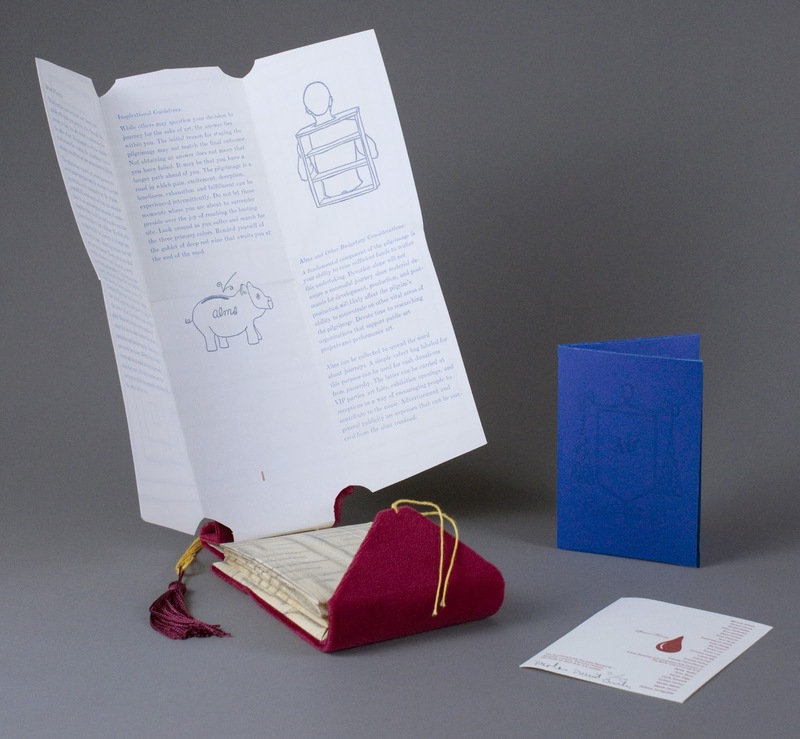 Each year, the Center for Book Arts offers space, time and support to up to five New York-based emerging artists so they can explore the production and exhibition of artist’s books and related work in year-long residencies. These artists come from all disciplinary backgrounds to learn bookbinding and letterpress techniques and spend the year experimenting with these forms.We are pleased to present an exhibition of the work these artists have created during their time at the Center for Book Arts. Work by all of last year’s 2013 Workspace residents –Cecile Chong, Dahlia Elsayed, Swati Khurana, Kameelah Rasheed, and Jeni Wightman– are on view through June 28th. These artists are all extraordinarily talented, and their work is not to be missed! To serve as a digital introduction, we are going to shine the spotlight on these gifted individuals in a two-part series. First up is Cecile Chong. A multimedia artist working in painting, sculpture and installation, Cecile’s work addresses the process of cultural encounter and entanglement. Her exposure to different cultural objects and ideas has driven her fascination with how these influences are visually acquired, represented and interpreted. She is interested in how cultures copy others, and how borrowed ideas often find their way back to the original culture. This entanglement of culture, history, place and interpretation are themes that she explores in her work. in (upcoming), Honey Ramka Project Space, Figuresworks, Praxis International Art Project Space, Corridor Gallery and ArtSPACE. In addition to CBA, Cecile has also received fellowships from Socrates Sculpture Park, AIM – Bronx Museum, Urban Artist Initiative NYC, Aljira Emerge and the Joan Mitchell Foundation MFA Grant. Cecile’s work is in the collections of El Museo, Citibank Art Advisory and private collections in the U.S., Europe and Central and South America. She received an MFA from Parsons The New School for Design in 2008, an MA from Hunter College, and a BA in Studio Art from Queens College. Her early schooling took place in Ecuador, Macau and China. Cecile lives and works in New York and is currently part of the Elizabeth Foundation for the Arts Studio Program. During her CBA residency, Cecile created several stunning books, including an edition of letterpress printed carousel books, a carousel book made from repurposed book jackets, and encaustic painted books with marbled-paper covers. Additionally, she constructed a beautiful hanging scroll from music tape, a diary, and marbled paper xeroxed on Tyvek. Dahlia Elsayed combines text and imagery to create visually narrative paintings that document internal and external geographies. Her work, influenced by conceptual art, comics, and landscape painting, is informed by autobiography and environment, to create illustrated documents of places and memories. Frequently using the visual language of cartography, Dahlia’s paintings employ symbols of hard data- geologic forms, borders, markers, coastlines – to frame the soft data of the ephemeral, adapting a quantitative schema to the qualitative. Her paintings, prints and artist books have been shown at galleries and art institutions throughout the United States and internationally, including the 12th Cairo Biennale, and solo exhibitions at Aljira Center for Contemporary Art and the Jersey City Museum. Her work is in the public collections of the The Newark Museum, The Zimmerli Museum, Johnson & Johnson Corporation, New Jersey State Museum, amongst others. Dahlia has received awards from the Joan Mitchell Foundation, the Edward Albee Foundation, Visual Studies Workshop, Women’s Studio Workshop, Headlands Center for the Arts, and The NJ State Council on the Arts. She received her MFA from Columbia University, and lives and works in New Jersey. Dahlia is Assistant Professor of Humanities at CUNY LaGuardia Community College. While in residence she made text-based works, including letterpress grocery lists, that test the visual possibilities of the informal hand-made mark reproduced mechanically. And the best part is, you don’t have to be satisfied with this virtual introduction because you can meet these featured artists and the rest of our artists-in-residence at the Center! So join us this Friday, June 13th for a talk and reception with our 2013 Workspace Artists-in-Residence and come see the show! Works by CBAs artists-in-residence are on view currently through June 28, 2014 in the galleries as part of The Center for Book Arts Spring Exhibitions. 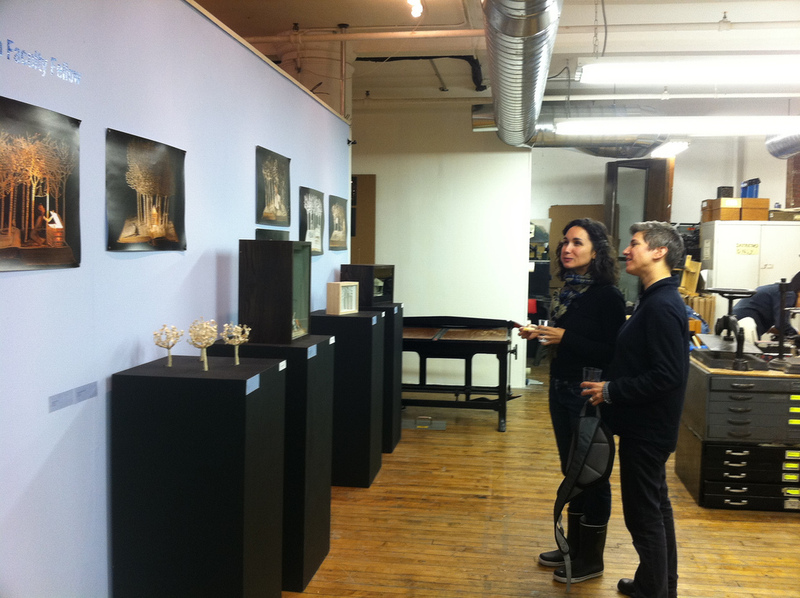 Let’s take a look today at one of our former artists-in-residence Karina Skvirsky. Karina was here for a full year taking classes and working in the studios throughout 2005. Karina is a photographer and video artist who came to us with no prior experience in the book arts, but a desire to learn and digest new skills and an openness to the community of artists working here at the Center. 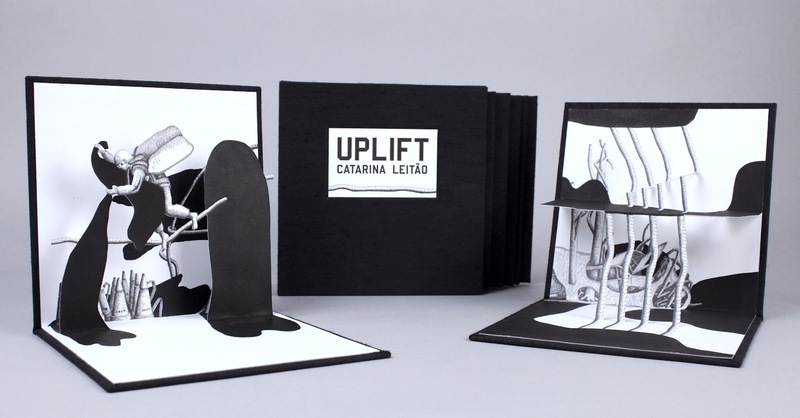 After a certain point in her time at the Center, she chose to focus on sculptural and moveable book forms, eventually creating a complex editioned tunnel book project called El Espectaculo. El Espectáculo explores the News as entertainment phenomenon. Excerpted television news footage—the Tsunami, the Iraq War, Martha Stewart’s prison sentence and Michael Jackson’s trial—covering a one month period in 2005 is recontextualized and integrated within the context of a Broadway stage. It was produced in an edition of 5, and all of the numerous parts were hand cut and assembled here. She relied heavily throughout on the input and assistance of the community of book makers around her, especially Gavin Dovey of Paper Dragon Books. 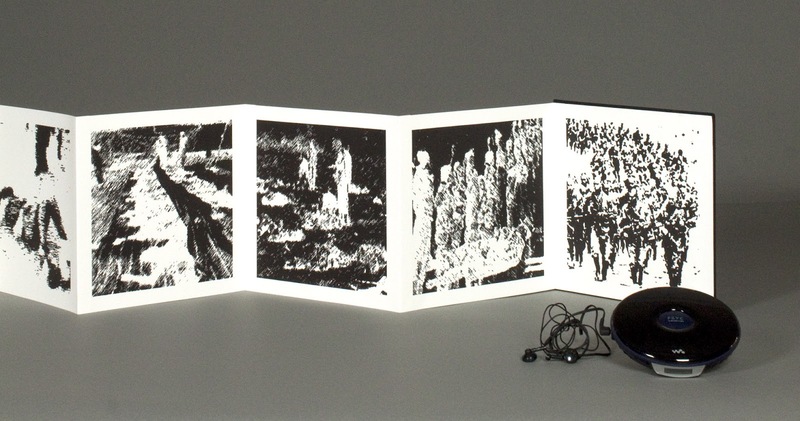 It is one of the pieces that we always point to as a perfect example of how an artists working in photography and time-based media can translate that work into the book arts. 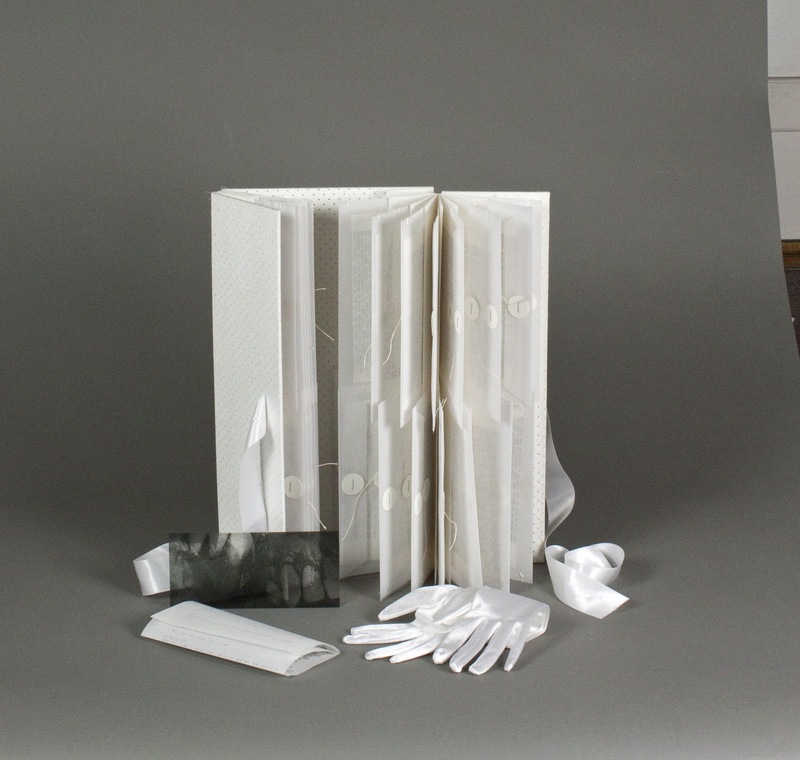 She has continued to work in the book format since her residency, and has really thought about how to integrate books into her art practice. Learn more about Karina and her work here. Please give what you can, and spread the word to any family, friends, and colleagues who believe it’s important for artists to be given time, space, materials, and funds to experiment and create new works of art. Watch some of our past artists in residence speak about their experience at the Center for Book Arts in the video below, and go to We Did It to make a pledge or forward the link. Like our exhibitions? Consider work/study! Happy Friday, everyone! 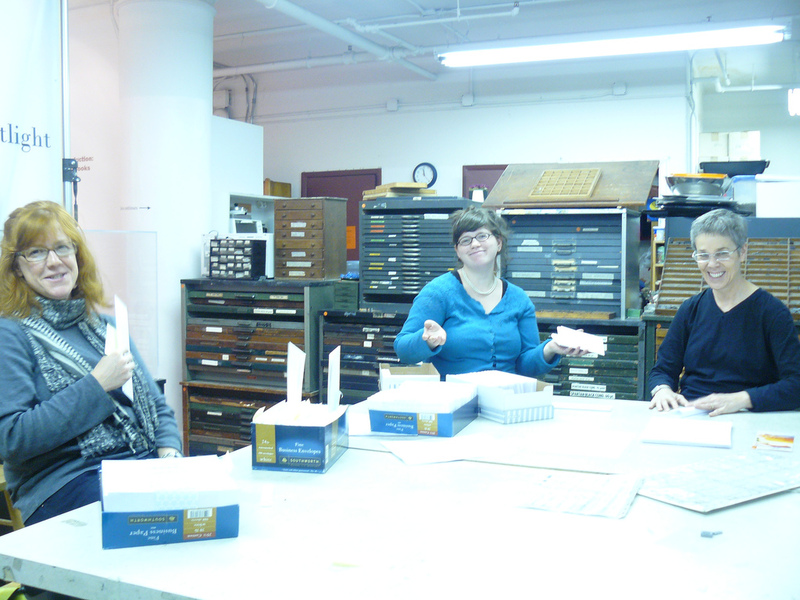 As today is going to be my last blog at the Center for Book Arts, I thought today would be an excellent time to talk about just how these daily blogs came to be. I am a college student and, starting during winter intersession, I began to do work/study at the CBA in order to take more classes here. With work/study, each hour of time worked equates to a certain number of hours of class and studio time. While it takes more than 2 hours of work for 1 hour of class, the CBA is extremely generous with their studio hours: 1 hour of work/study is equal to two hours in the bindery or printshop! Very exiting. When I first started doing work/study, the CBA was busy setting up for its first show of the year, Fine & Dirty as well as our two Featured Artist Projects, Ethan Shoshan’s Strange Birds and Patricia Sarrafian Ward’s Re/Vision. At that point, I was busy working with the rest of the staff on prepping for the show: painting, putting up shelves, going through the pieces, and even (sometimes) asked where I thought a specific piece should go. Once we opened, I expected to do some usual filing and mailing, but, when I expressed my interest in the blog (I am a creative writing major, after all), I was given the chance to do something with it. I decided to blog daily, giving each day a theme, and working from there. I wanted to share all the exciting and interesting things that the Center for Book Arts does, and I hope I was able to bring that to you. You can earn free workspace hours, too! Work/Study: What I did. A limited number of positions are available for students or artists who want to work to pay for CBA courses or workspace rental. After working a preset number of hours, a work/study student can study tuition-free. For courses, 50% of the hours need to be completed before the class begins, with the remainder being fulfilled by a point after the course ends. These are available for temporary and semi-permanent positions: temporary volunteers work on a specific project, such as the annual Holiday Sale, while semi-permanent positions can work on larger projects (such as this blog!). Both interns and work/study students will participate in the day-to-day activities of the Center. For more information and an application, click here. Internships: Available throughout the year. The reason I chose to do work/study was because, as a full-time student, I was unable to work the minimum 2 full days a week. 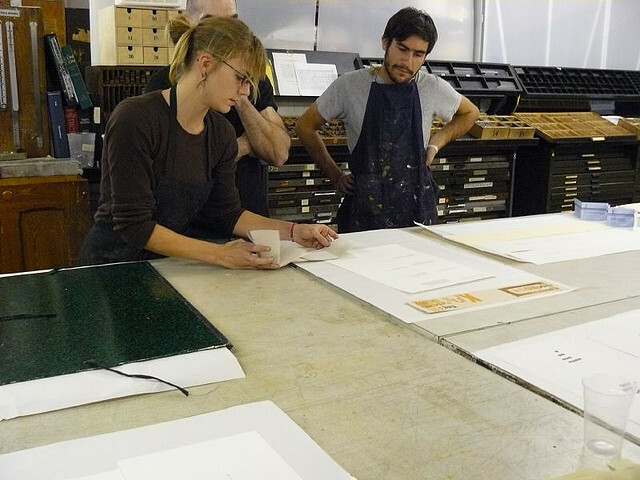 Summer internships often give hands-on training in book arts techniques, which is very exciting, and definitely something to consider, although internships in many different aspects of arts administration, marketing, curating, management, etc are offered throughout the year. Instead of working for credit, interns are given the chance to take classes during their time as an intern, as well. Both interns and work/study students will participate in the day-to-day activities of the Center. For more information and an application, click here. Well, that’s all for now! I hope you will consider doing work/study, interning, or volunteering at the Center. We do a lot of good (and a lot of work!) and, being a non-profit in the arts, it’s difficult for the staff to get the credit (and time off) that they deserve. Whether you are interesting in blogging or not, working at the CBA is a great experience for anyone interested in book or letterpress arts. And don’t be afraid of what you don’t know: I started this blogs having taken only Bookbinding 1. One of the best parts of working here is everything you will learn! Have any stories about your favorite part of the Center? Want to give us suggestions or comments? Comment on this post, email us at info@centerforbookarts.org, visit us on Facebook (/centerforbookarts) or follow us on Twitter (@center4bookarts). Can’t wait to see you there! Our spring exhibitions are almost complete, and the wine is chilling in the bindery. It’s almost time for a reception! For those of you who haven’t witnessed gallery installation here at the Center first hand, I thought we’d give you a short glimpse into what’s been going on for the last week and a half. Above is artist Anne Gilman working on the installation of her Featured Artist Project The Jolly Balance, with the help of intrepid workstudy volunteer Matt Colbourn. The exhibition consists of fourteen individual panels of waxed ledger paper, along with individual prints, drawing, and a print portfolio. Last week she and Alexander Campos, our director, spent many hours determining the choice, spacing and order of the individual panels. Gilman will join us on May 9th to talk more in depth about her project, which took as a starting point a series of drawings she made on a handwritten physics journal from 1918. Join us at 7pm and you can enjoy the series of works as a whole. Here’s curator Lauren Haaften-Schick, putting the finishing touches on a library case in the main gallery. Her show, ‘Canceled’: Alternative Manifestations and Productive Failures examines cancelled or otherwise prohibited exhibitions that now exist as publications or in other formats.Her research into several different artist projects, which for different reasons didn’t take place as planned, has resulted in a mix of projects and publications, all tied together by the use of printed material as a means of documenting that which didn’t happen. Today in the gallery Lauren and Alex are putting the finishing touches on the installation, and adding the wall text and labels which will help visitors put the work on display into context. It’s a mad rush to get everything up in time for the preview at 6pm, where Lauren will give a short tour and presentation of the show, the culmination of much writing, research and reflection on her part. Here’s 2011 Artists in Residence James Case-Leal and Heidi Neilson, negotiating with Alex during installation of their work. Last Friday we talked more about the residency program in general. Every spring we show the results of the previous year’s residents work in our studio galleries; our four workspace artists spent all of 2011 taking classes, using the studios and experimenting with new techniques, materials and formats. The end results of their work are on display through the end of June. Join us tonight for the opening, and you’ll be able to see some of Heidi’s collaged linoleum prints commemorating historic now-defunct satellites in Earth’s orbit, and her two artist books, Tranquility Base and Atlas Dream Sequence. James Case-Leal is working here on installing his piece The Light Day-A Generative Lexicon. This project uses random number sequences generated by Atmospheric Background Radiation, the remaining particle energy from the Big Bang. These sequences are then used to generate letter sequences, which Case-Leal presents as text, which the reader then seeks to interpret as words to be read. We’ll host talks, screenings, and events throughout the spring in conjunction with these three exhibitions, and you can find out the details on our website on the events page, here In the meantime, we hope to see you tonight at 7! For our first insight into the inner workings of the Center for Book Arts, here is a mini tour of the workspace that we have to offer. 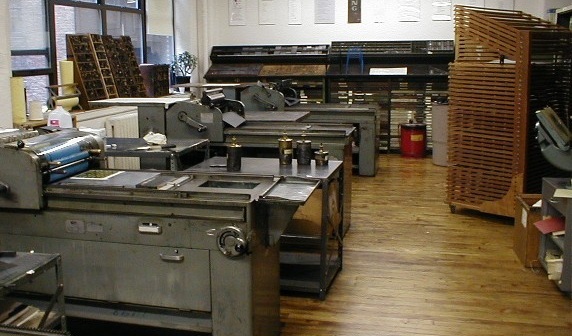 The Center has two binderies, or studios for bookbinding, each complete with nipping presses, board shears, sewing frames, backing hammers and presses for rounding and backing, and other tools. We also have a motorized guillotine for cutting thick stacks of paper. For our classes, all materials, such as bookcloth, decorative paper, PVA, methyl cellulose, needles, thread, text paper, Kozo, headbands, and sewing tapes, are provided. The Center also has plenty of triangles, rulers, and cutting mats to borrow should you forget something! If you visit the Center during our gallery hours, odds are you will see artists working in at least one of the binderies, creating everything from a basic pamphlet book to accordion books and portfolios to house them. We also have a printshop with four Vandercook proof presses available for students and renters to use, as well as two treadle platen presses, a tabletop C&P, a Kelsey, an antique Washington Hand Press and an etching press. The printshop has over 800 metal typefaces (which we explore every Tuesday!) available for printers and those taking the Center’s letterpress classes, as well as an assortment of ornaments, magnesium cuts and other found images, and a selection of wood type. For students taking printing classes, we ask only that they bring rubber gloves and a smock (or clothes they wouldn’t mind getting covered in ink). Ink, paper, and all other materials are provided. 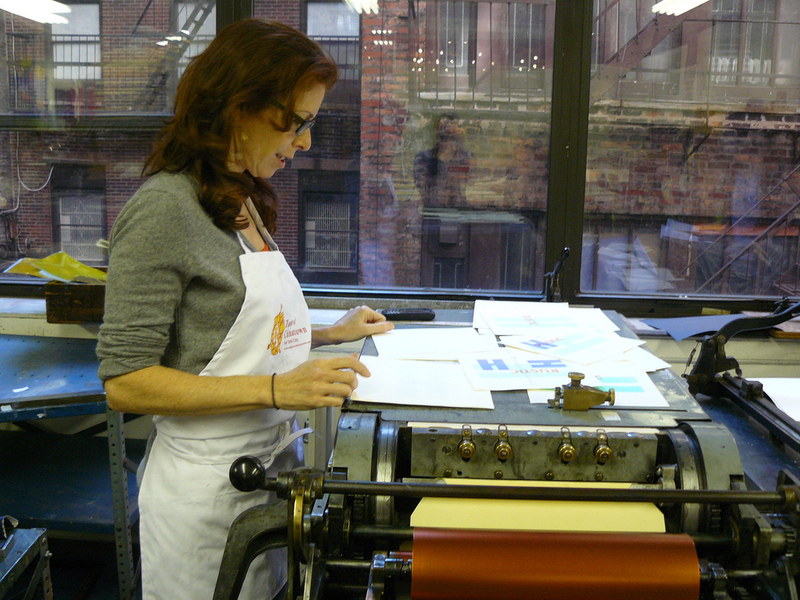 The printshop is another area filled with artists each day, and our letterpress classes are some of the most popular ones given at the Center. In fact, one of our exhibitions currently on display is “Fine and Dirty: Contemporary Letterpress Art,” a survey of the best of contemporary letterpress printing. All workspaces can be rented and hourly and monthly rates can be found on our website! 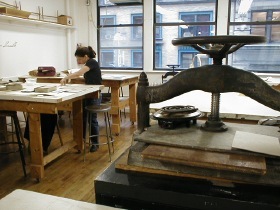 Some equipment, such as the presses in the printshop and the guillotine, require prerequisites to use, but classes are often offered for you to learn. If you’re interested, stop by to see our workspace and how it can suit whatever creative project you want to work on (whether that be binding a simple book of poems or setting, printing, and binding an elaborate pop-up book). You’ll also get a chance to see what we shall be exploring soon: our exhibition space! Have a great weekend, and join us next week for the start of another week of blog posts. Remember to give us your feedback on this new format, including suggestions for new themes, either in the comment field or to info@centerforbookarts.org. Thanks again and see you on Monday!